« The Rolling Stones to Reunite with Bill Wyman and Mick Taylor? Well, Kind of … Maybe. In 1987, John Hiatt released his great Bring the Family album. This was the work that took him from being a guy just known for being a good songwriter, to a known musician and record maker in his own right. Part of the reason that radio found that album to their liking was that it featured some great backing musicians with well-known identities. That project included the likes of Nick Lowe, Jim Keltner and Ry Cooder (who later would all record together again as Little Village). That album was a critical success and did not do badly sales-wise either. What would John do on his next release? It’s not easy to get fire power like that again, so instead he went out and hired a band that, while not having the same name recognition, could easily play even-up with the future Little Villagers. He hired the Goners. The Goners were a group of fine musicians that included David Ranson on bass, Kevin Blevins on drums and, slide guitarist and overall guitarist extraordinaire, Sonny Landreth. These four musicians released the marvelous Slow Turning album. This took Hiatt’s popularity to a higher level where it’s stayed ever since. 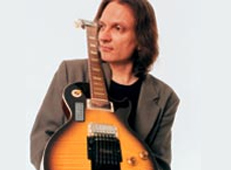 It also elevated Sonny Landreth’s popularity to a level to where his success was really, just beginning. Sonny was known before 1988’s Slow Turning, but mainly his success was familiar to those who were music crazies or those that lived around his hometown music scene of southwest Louisiana. Slow Turning would get a ton of airplay. Some of the best songs were indeed “best songs” because of Sonny’s highly identifiable slide guitar. The more you hear Sonny play, well, you know when it’s him. 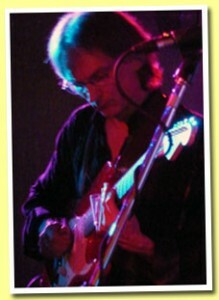 The popularity of Slow Turning and its subsequent tour helped Sonny with launching a solo career. That solo career started here, at least on a big-time scale, with 1992’s Outward Bound. 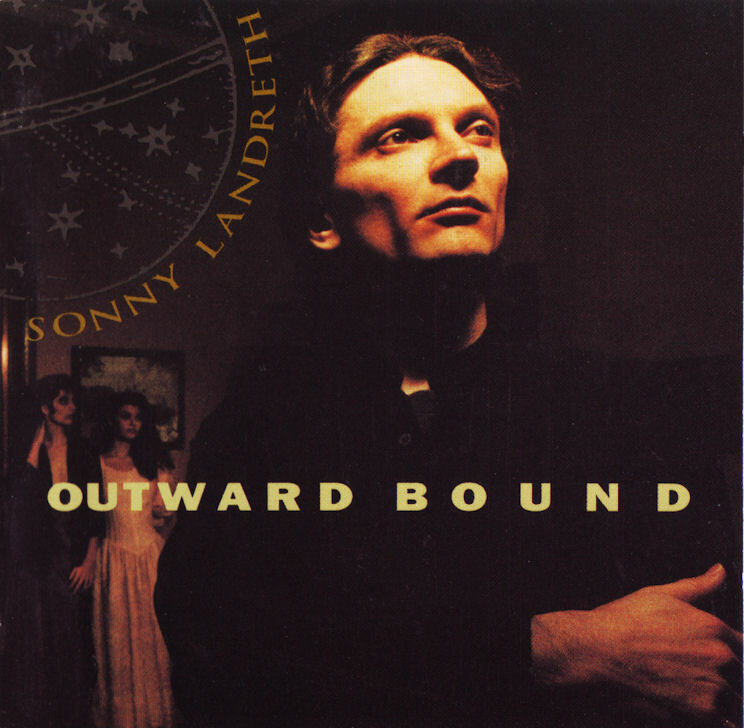 The album starts out strong with “Soldier of Fortune” and especially the Cajun tinged “Back to Bayou Teche.” “When You’re Away” is more straightforward, in fact, Sonny plays a hot song-ending, non-slide solo on this track. It almost has more of a young Neal Schon feel than a Sonny Landreth feel. “Speak of the Devil” was right out of the Stevie Ray Vaughn “sounds like” vault. If that’s your sound, this is your song on the disc. “Yokahama” is a fun little instrumental that allows Sonny to show off some, and also lets the band show off some as well. “Planet Cannonball” is a sweet, quiet number that shows that our guy can sing a song as well. This always had that ‘first encore” feel to it as you let everybody relax a bit before you hit them over the head again. After the previously mentioned “Common Law Love” and another killer track, “Bad Weather” we get to the title cut, “Outward Bound.” It’s another nice slower tune to end the disc, kind of like a fourth encore, show ending song. 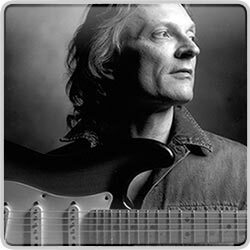 This was the start of a nice string of solo projects for Sonny Landreth. You can still see him in nice smaller venues on his own, but you’ll also see him at the biggies like Eric Clapton’s Crossroads and festivals of the like. There he can stand easily on the same stage with players like Albert Lee and Jeff Beck and Buddy Guy and represent Louisiana with pride. If you like Sonny then Check theses out. BONUS VIDEO: Sonny and John on “Slow Turning” from an old Letterman performance.